The content of this agreement includes the text of the agreement and all types of rules that have been released by VBEX or may be released in the future. All rules are an integral part of the agreement and have the same legal effect as the body of the agreement. Unless otherwise expressly stated, any service provided by VBEX and its affiliates (hereinafter referred to as the VBEX Service) is subject to this Agreement. You should read the entire protocol carefully before using the VBEX service. You should read the contents of the agreement in bold fonts. If you have any questions about the agreement, you should consult VBEX. However, regardless of whether you actually read the contents of this agreement before using the VBEX service, as long as you use the VBEX service, this agreement will bind you, and you should not read the contents of this agreement or obtain VBEX for you. For reasons such as the answer to the inquiry, the claim is invalid or the agreement is revoked. You are committed to accept and abide by the terms of this agreement. If you do not agree to the terms of this agreement, you should immediately stop registering/activating the program or stop using the VBEX service. You acknowledge that you should be a natural person, legal person or other organization with full civil rights and full civil capacity when you complete the registration process or actually use the VBEX service in a manner permitted by other VBEX. If you do not have the above qualifications, you and your guardian shall bear all the consequences resulting from this, and VBEX reserves the right to cancel or permanently freeze your account and claim against you and your guardian. After you fill out the information on the registration page, read and agree to this agreement and complete all registration procedures, or after you follow the prompts on the activation page to fill out the information, read and agree to this agreement and complete all activation procedures, or you are allowed by other VBEX When you actually use the VBEX service, you are bound by this agreement. You can use the email address, mobile phone number, or other means that VBEX allows you to provide access to VBEX. You must provide information such as your real name, ID type and ID number. VBEX assumes no responsibility for any inaccuracies in the information provided when you register, and you will be liable for any direct or indirect damages and adverse consequences. VBEX accounts can only be held and used by me. VBEX reserves the right to freeze, stop, or cancel accounts that are not used by me, and does not assume any legal responsibility. When completing the registration or activation process, you should promptly provide and update your information in accordance with the requirements of laws and regulations, in order to make it true, timely, complete and accurate. If there is reasonable ground to suspect that the information you provided is incorrect, untrue, outdated or incomplete, VBEX has the right to send you a notice or request for correction, and has the right to directly delete the corresponding information until the suspension or termination of the You provide some or all of the VBEX services. VBEX assumes no responsibility for this and you will be liable for any direct or indirect damages and adverse consequences. You are solely responsible for maintaining the confidentiality of your VBEX login nickname and password, and all activities (including but not limited to information disclosure, posting, online click consent or submission of each other under this login, VBEX nickname and password) Responsibility for class rules agreements, online renewal agreements, or purchase services. You agree to: (a) notify you of any unauthorized use of your VBEX nickname and password account, or any other breach of confidentiality, and will immediately notify VBEX; (b) ensure that you strictly adhere to the security of the Site/Service , certification, trading, top-up, withdrawal mechanism or process; and (c) ensure that you leave the website/service in the right steps at the end of each internet session. VBEX cannot and will not be liable for any loss that occurs as a result of your failure to comply with this paragraph. You understand that VBEX takes reasonable time to take action on your request and VBEX is not responsible for any consequences (including but not limited to any loss) that you have incurred before taking action. Through VBEX services and other services provided by VBEX and its affiliates, members can post transaction information, query transaction information, reach trading intentions and conduct transactions, participate in VBEX organization activities, and use other information services and technical services on VBEX. When you have a transaction dispute with other members during the VBEX transaction, once you or one of the other members or both parties submit a VBEX request for mediation, VBEX has the right to make a mediation decision based on the unilateral judgment. You understand and agree to accept the judgment of VBEX. And mediation decisions. You understand and agree that VBEX has the right to provide the necessary information such as user information and transaction records that you provide to VBEX at the request of government agencies (including the Judiciary and Administration). If you are suspected of infringing on the intellectual property rights of others, VBEX also has the right to provide the necessary identity information to the right holder in the initial judgment of the alleged infringement. Your use of the VBEX Service, the taxable benefits, and all hardware, software, services and other costs are your responsibility. By using this service, you agree that all transactions cannot be changed once they are executed. By using this service, you agree that VBEX reserves the right to liquidate the transaction at any time, regardless of profit or loss. In the process of using VBEX service on VBEX, you are committed to the following conventions: All actions implemented in the process of using VBEX services comply with the national laws, regulations and other regulatory documents and the provisions and requirements of VBEX rules, and do not violate the public interest. Or public morality, does not harm the legitimate rights and interests of others, does not evade tax payable, does not violate this agreement and related rules. If you violate the foregoing commitments and have any legal consequences, you shall bear all legal liabilities in your own name and ensure that VBEX is free from any losses. In the process of dealing with other members, we abide by the principle of good faith, do not take unfair competition, do not disturb the normal order of online transactions, and do not engage in behaviors unrelated to online transactions. The commercial use of any data on VBEX is not permitted, including but not limited to, the use of materials displayed on the VBEX station in any manner other than reproduction, dissemination, etc., without the prior written consent of VBEX. Do not use any device, software or routine intervention or attempt to interfere with the normal operation of VBEX or any transactions or activities being conducted on VBEX. You must not take any action that would result in an unreasonably large data load being added to the VBEX network equipment. You understand and agree that: VBEX reserves the right to make a unilateral determination of your breach of the above commitments and to treat or terminate the service to you in accordance with the applicable rules of the unilateral determination, without your consent or advance notice to you. Based on the need to maintain VBEX trading order and transaction security, VBEX has the right to close the corresponding trading order in the event of malicious sale or purchase, etc., which disrupts the normal trading order of the market. 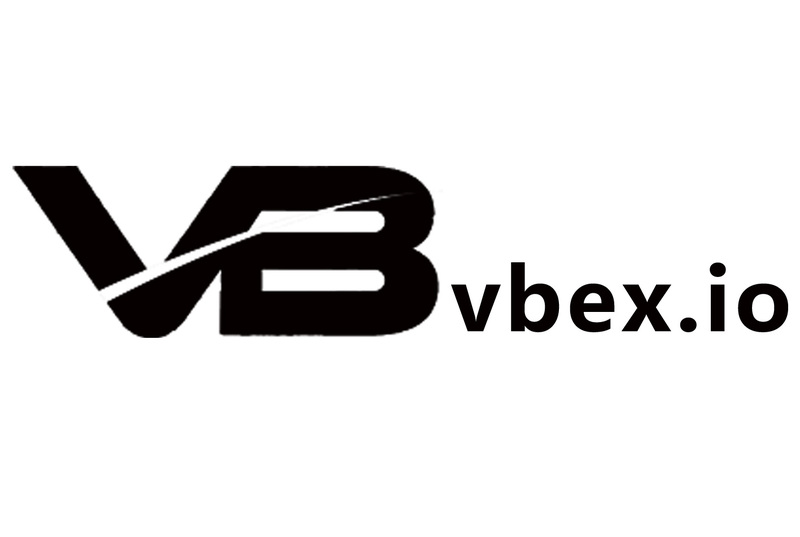 VBEX is confirmed by the State Administration or the judicial authority's effective legal documents to confirm that you have violated the law or infringement, or VBEX believes that your conduct is suspected of violating the terms of this agreement and/or the rules or suspected of violating laws and regulations. Have the right to publicize your alleged violations or breach of contract on VBEX and the measures VBEX has taken against you. VBEX reserves the right to remove any information that you suspect is illegal or suspected of infringing the legal rights of others or in violation of this Agreement and/or the rules on VBEX, and is penalized in accordance with the rules. VBEX reserves the right, in its sole discretion, to determine the nature of your conduct and whether it constitutes a breach of this Agreement and/or the Rules, if you have performed on VBEX, including actions that you have not implemented on VBEX but have affected VBEX and its users. Accordingly, corresponding penalties were imposed. You should keep all the evidence relevant to your actions and you should bear the negative consequences of not being able to provide sufficient and sufficient evidence. In the event that any of your alleged breach of a contract has caused damage to any third party, you shall be solely responsible for all legal liabilities in your own name and shall ensure that VBEX is free from any loss or increase in costs. If you are suspected of violating the relevant laws or the provisions of this agreement, causing any loss to VBEX, or any third party's claim, or being penalized by any administrative department, you shall compensate VBEX for the losses and/or expenses incurred. , including reasonable attorney fees. Express or implied warranties, including but not limited to, the suitability of VBEX Services, no errors or omissions, continuity, accuracy, reliability, and fitness for a particular purpose. At the same time, VBEX does not make any commitment or guarantee for the validity, accuracy, correctness, reliability, quality, stability, completeness and timeliness of the technology and information involved in the VBEX service. You understand that the information on VBEX is self-published and may present risks and flaws. VBEX is only used as a trading location. VBEX is only used as a place for you to obtain Bitcoin information, identify trading objects, negotiate and conduct transactions on Bitcoin transactions, but VBEX cannot control the quality, security or legality of the Bitcoin involved in the transaction, the authenticity of the transaction information or Accuracy, and the ability of the parties to the transaction to fulfill their obligations under the transaction agreement. You should exercise your own discretion to determine the authenticity, legality and validity of the relevant Bitcoin and/or information, and bear the responsibility and loss arising therefrom. VBEX is not obligated to conduct prior review of all users' information data, Bitcoin information, trading practices and other transactions related matters unless otherwise required by law or regulation: VBEX has reasonable grounds to believe that specific members and specific There may be major violations or defaults in the transaction. VBEX has reasonable grounds to believe that the user's actions at VBEX are suspected of being illegal or improper. A third party authorized by VBEX or VBEX or a third party that you agree with VBEX has the right to accept disputes arising from your dealings with other members based on your irrevocable authorization, and has the right to unilaterally determine the facts relevant to the dispute and the applicable The rules, in turn, make processing decisions, including but not limited to adjusting the transaction status of the relevant order, instructing the third party payment company or customer service to pay all or part of the disputed payment to one or both parties to the transaction. This processing decision is binding on you. If you do not execute the processing decision within the time limit, VBEX has the right (but not the obligation) to directly use the money you are still in the VBEX account, or the deposit you paid to VBEX and its affiliates. You should promptly make up the deposit and make up for the losses of VBEX and its affiliates. Otherwise, VBEX and its affiliates have the right to directly deduct your rights under other contracts and have the right to continue to recover. You understand and agree that a third party authorized by VBEX or VBEX or a third party that you agree with VBEX is not a judicial body and can only authenticate the evidence as an ordinary person, or a third party authorized by VBEX or VBEX or you agree with VBEX. The third party’s mediation of the dispute is entirely based on your irrevocable authorization, which cannot guarantee that the outcome of the dispute will meet your expectations and will not be responsible for the conclusion of the dispute. If you suffer losses, you agree to claim compensation from the beneficiary. You agree that VBEX reserves the right, at its sole discretion, to provide you with some or all of the VBEX Services for any reason without prior notice, to temporarily freeze or permanently freeze (deregister) your account, and without this to you or any of the The three parties bear any responsibility. After VBEX terminates the service to you, you are suspected of being registered as a VBEX user directly or indirectly or in the name of another person; the main content in your registration information is untrue or inaccurate or not timely or incomplete. When VBEX's agreement or rules change, you expressly and notify VBEX that you are unwilling to accept the new service agreement. Other VBEX platforms believe that the service should be terminated. You have the right to request cancellation of your account from VBEX. VBEX will cancel or permanently freeze your account with VBEX's approval. At that time, your contractual relationship with VBEX under this Agreement will terminate. After your account has been cancelled or permanently frozen, VBEX is not obligated to retain or disclose to you any information in your account, nor is it obligated to forward any information you have not read or sent to you or a third party. Continue to save your registration information and all transaction information during your use of the VBEX service. VBEX may still claim rights against you under this Agreement if you are in violation of this Agreement and/or the rules during the use of the VBEX Platform Services. VBEX and its affiliates have the right to maintain the security of their VBEX systems, prevent illegal intrusion or illegal transmission, and protect business records and data information from unauthorized access, tampering or damage.